Visual artist based in Anglesey, North Wales. I paint in oils and acrylics, interpreting the outstanding beauty found in the coastlines, countryside, towns and villages of Anglesey. Challenging myself in placing people in landscapes and interiors. 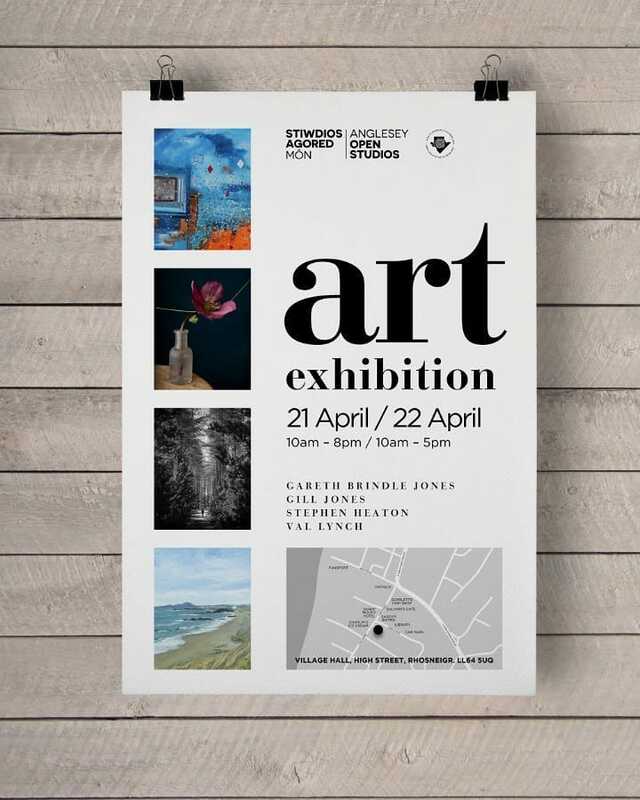 ​As Part of the Anglesey Arts forum open studios event, I'm exhibiting here again over the easter weekend. I am joining Gill Jones, Val Lynch and Stephen Heaton for Easter Sunday and Monday 10-5. I have got many new paintings for sale, including some very recent works which are more abstract than I've painted before. Some of the paintings from the Llanfechell exhibition are also here. From Tuesday 24th April until Friday 27th I will be opening up my studio at the Church in Llanfwrog from 11-5 approx. It would be fantastic to see you there! Dogs welcome also. I'm delighted to be holding an exhibition here. The paintings I've selected are a mixture of local landscapes and some paintings inspired by a trip to America last summer. ​Also I have painted some special little landscapes depicting movement in the heart of Llanfechell. Along with the originals which are for sale at £250 each, I am offering archival quality prints of the Llanfechell scenes for only £40 each. Pop into the 5* TripAdvisor rated cafe to see them all. I can personally vouch for the bacon bap and tea! They're open 9.30am - 3pm each weekday. Rhes y Goron a car goch / Crown Terrace and red car. 10x4". Acrylic on board.